WASHINGTON (Sept. 21, 2015)—A first draft of the “tree of life” for the roughly 2.3 million named species of animals, plants, fungi and microbes -- from platypuses to puffballs -- has been released. The tree is a collaborative effort among 11 institutions, including researchers from the George Washington University, and depicts the relationships among living things as they diverged from one another over time, tracing back to the beginning of life on Earth more than 3.5 billion years ago. Tens of thousands of smaller trees have been published over the years for select branches of the tree of life -- some containing upwards of 100,000 species -- but this is the first time those results have been combined into a single tree that encompasses all of life. 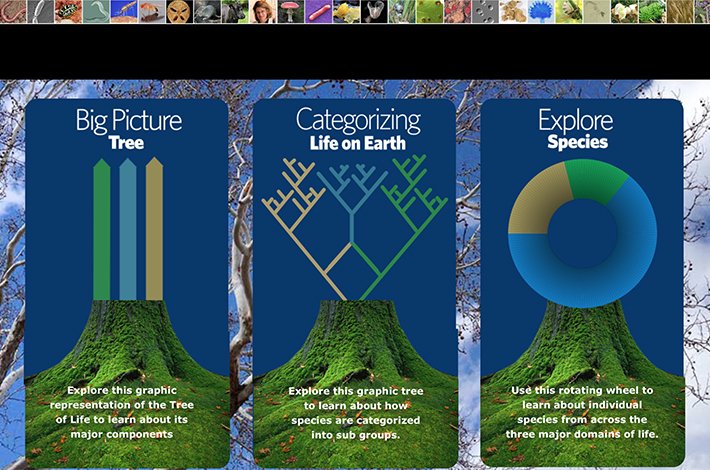 The end result is a digital resource that is freely available online for anyone to use or edit, much like a “Wikipedia” for evolutionary trees. The release is described in the Proceedings of the National Academy of Sciences the week of Sept. 14. The current version of the tree, along with the underlying data and source code, is available to browse and download at https://tree.opentreeoﬂife.org. This research was supported by a three-year, $5.76 million grant from the U.S. National Science Foundation (1208809) and was led by Karen Cranston, bioinformatics project manager at Duke University. Other study co-authors include Christopher Owen of GW; Cody Hinchliff and Stephen Smith of the University of Michigan; James Allman of Interrobang Corporation; Gordon Burleigh, Ruchi Chaudhary, Jiabin Deng of the University of Florida; Lyndon Coghill, Peter Midford and Richard Ree of the Field Museum of Natural History; Bryan Drew of the University of Nebraska-Kearney; Romina Gazis and David Hibbett of Clark University; Karl Gude of Michigan State University; Laura Katz and H. Dail Laughinghouse IV of Smith College; Emily Jane McTavish of the University of Kansas; Jonathan Rees of the National Evolutionary Synthesis Center; and Tiffani Williams at Texas A&M University. In the heart of our nation’s capital with additional programs in Virginia, the George Washington University was created by an Act of Congress in 1821. Today, GW is the largest institution of higher education in the District of Columbia. The university offers comprehensive programs of undergraduate and graduate liberal arts study, as well as degree programs in medicine, public health, law, engineering, education, business and international affairs. Each year, GW enrolls a diverse population of undergraduate, graduate and professional students from across the country and around the world.